After a good sleep we headed out of the hotel and had breakfast, ironically in the American styled ‘Ed’s Easy Diner’. After breakfast we walked back toward the Kings Cross Train Station. 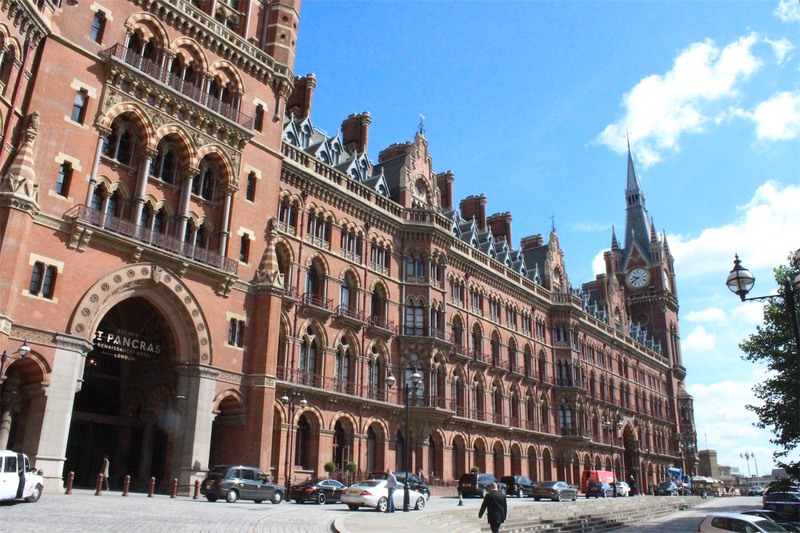 We came across an amazing building St Pancras Renaissance Hotel which was established in 1873. 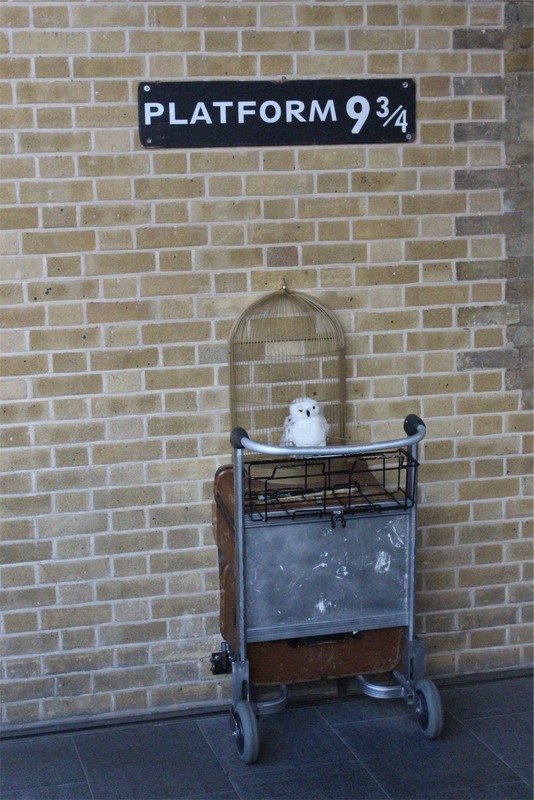 At Kings Cross Station we visited platform 9 3/4 (Harry Potter fans be jealous now), which was well set up for fans to take photos with Harry’s trunk. The Harry Potter shop whilst small, had some pretty cool merchandise. 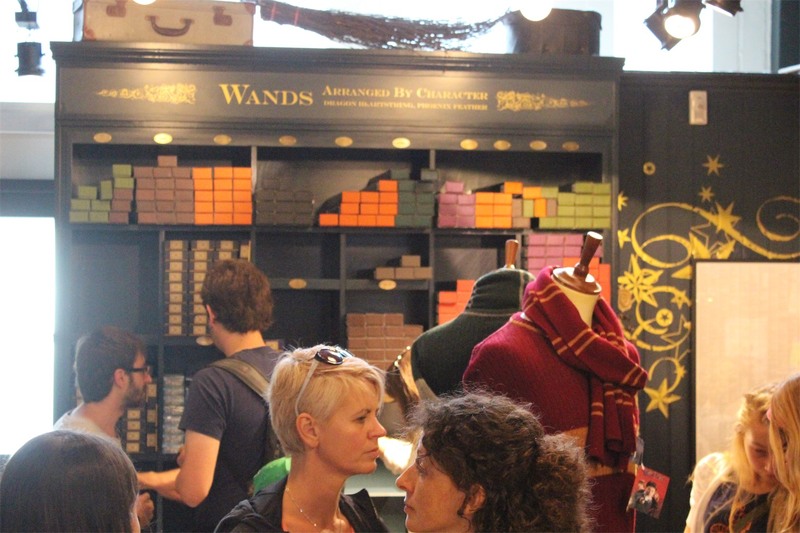 The store was designed so you felt like you were in Ollivander’s Wand Shop. Whilst there, we had a quick look through St Pancras International to get familiar with where our Eurostar Train is departing from. We meandered around looking at the shops and different buildings. We then made our way to The Queen’s Head to have a few drinks and catch up with our mate Elaine. We enjoyed a couple of wines and thought we would settle in for a quiet afternoon/evening catching up. What we couldn’t have realised is that lovely Elaine had a master plan! 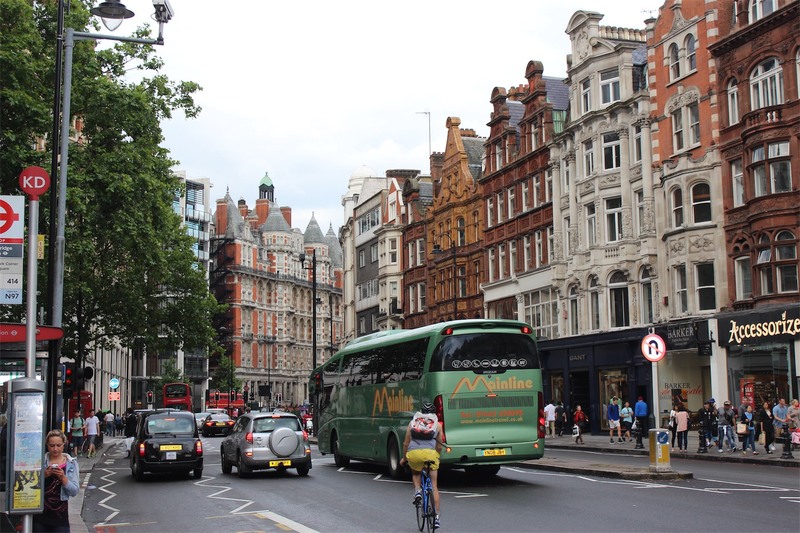 We made our way over to Knightsbridge to have a look through Harrods, of course heading straight to the food court. We were overwhelmed by all the amazing fresh produce and scored some cheeky samples. 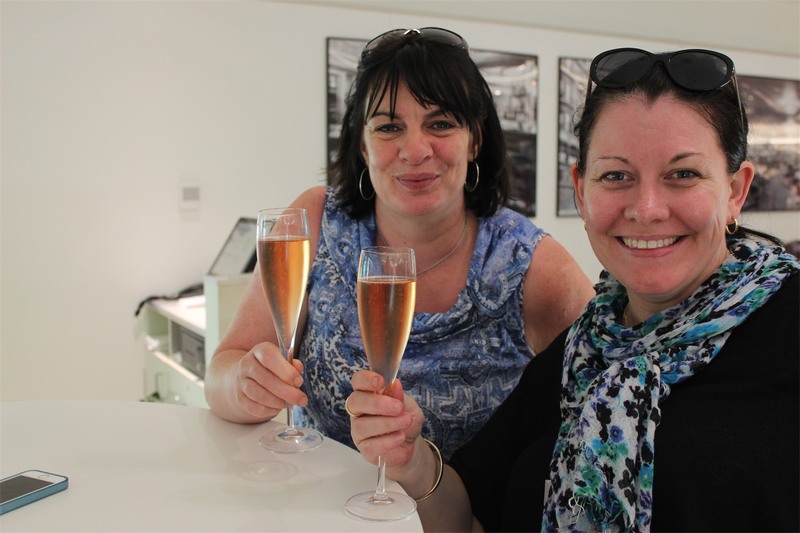 Of course when in Harrods, if the shopping gets too much you can always take a rest in the Champagne Bar… It’s tough work this Harrods stuff! After looking through Harrods Elaine suggested we go to the Mandarin Bar at Mandarin Oriental for her favourite cocktail, The Lawnmower. You may think the matching of vodka, wheatgrass and mint would be an odd combination however, it was truly the most delicious cocktail we’ve ever had. Whilst we were sipping our cocktails Elaine’s plan was uncovered. 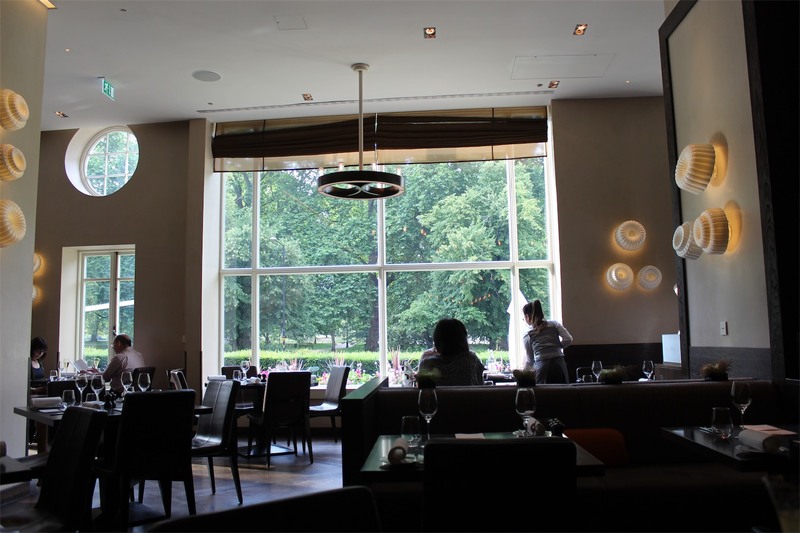 She had organised dinner at the Michelin Star restaurant ‘Dinner’ by Heston Blumenthal! Words can’t sufficiently describe the experience. The menu has been put together based on recipes from historical cookbooks from the 14th to 19th centuries with a modern twist. Every course was served with an accompanying wine. A stand out was the starter ‘Rice & Flesh’. The menu simplifies this dish as Saffron, Calf Tail & Red Wine but is more aptly described by Elaine as “mouth-gasmic”. Admittedly, we had reservations but put trust in our mate. As a side, Rice & Flesh was originally conceived by the cooks of King Richard II in their 1390 book ‘The Forme of Cury’. The perfect start was followed by mains of ‘Powdered Duck Breast’ (c.1670), ‘Roast Iberico Pork Chop’ (c.1820) and ‘Cod in Cider’ (c.1940) individually paired with an incredible wine. 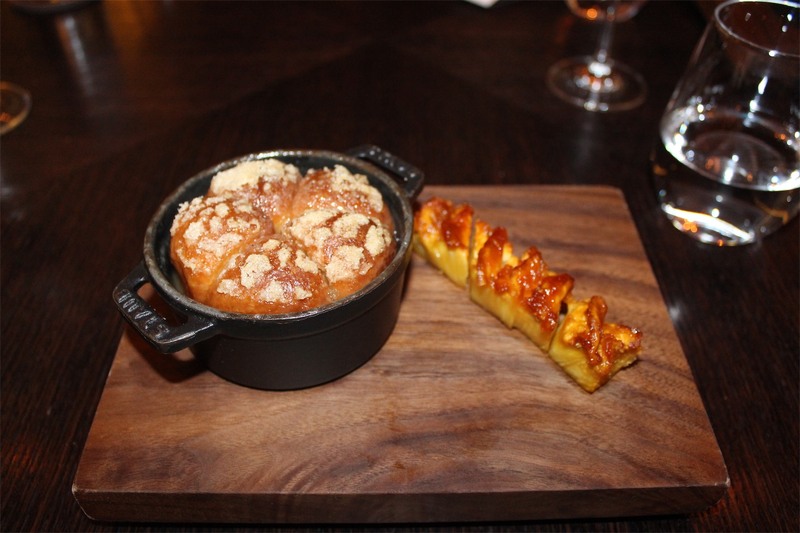 Mains were followed by ‘Tipsy Cake’, spit roast pineapple with brioche (c.1810). The finale was ice cream cones made by liquid nitrogen served in front of us on a trolley. At the end of our meal we were given a tour around the kitchen which was such a great experience. Dining at the number 5 best restaurant in the world was certainly an incredible start to our holiday adventure. Thanks Elaine for such a perfect day! Departed Kuala Lumpur at 10.10am (06/07/2014) and arrived at Dubai after a 7.5 hour trip. Left Dubai at 2.15pm (06/07/2014) and arrived at Heathrow at 6.40pm after a 7.5 hour trip. After getting through immigration and customs without any issues we then caught the tube (Piccadilly Line) to Kings Cross Station St Pancras. This was really easy we used the ticket machine to buy an oyster card and it only cost 3 Pound each. 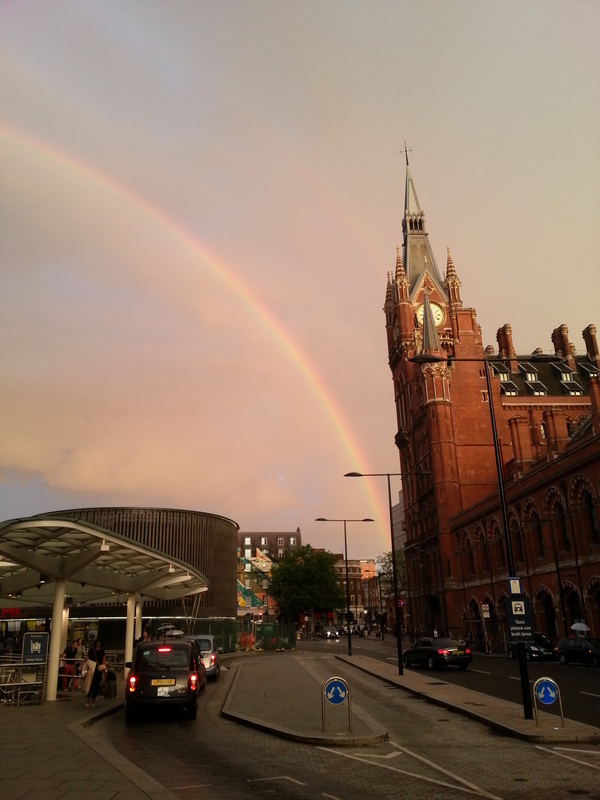 This was the beautiful view awaiting us outside the tube station. We then got our first London Cab to the hotel. It was a huge day, we were both exhausted so had a quick bite and crashed out. Looking forward to exploring the local area and catching up with Elaine tomorrow! 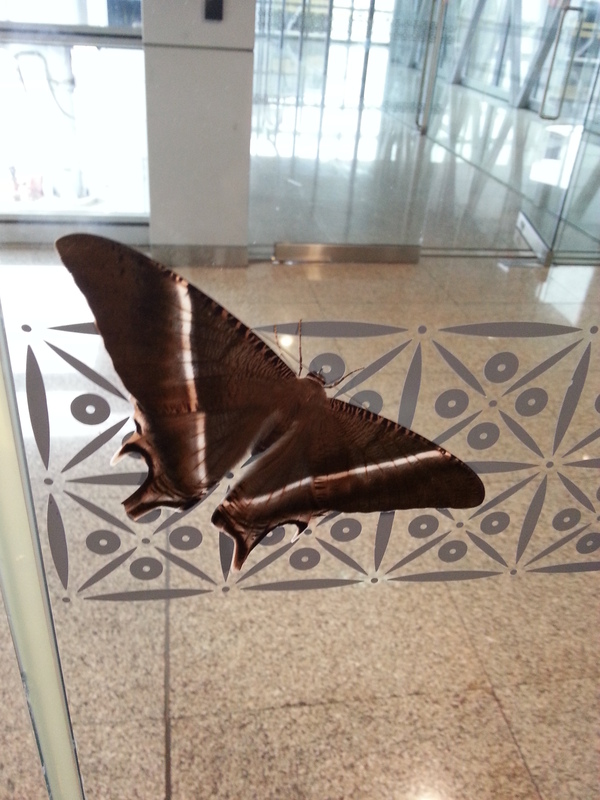 Random Cool Thing of The Day (RCToTD) – Massive butterfly inside KL Departure Lounge – it was about the size of an iPhone.